Burlington Twp. 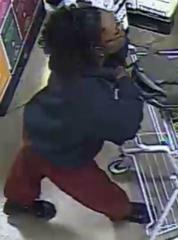 Police is releasing information about a recent Shoplifting near your address. 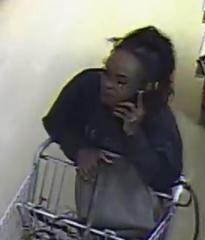 On February 1,2019, at approximately 8:44pm, there was a Shoplifting at the ShopRite located on Rt. 541. 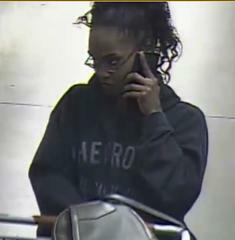 The suspect is described as a black female, wearing a dark colored sweatshirt, red pants, and glasses. She attempted to steal 4 bottles of liquor when she was approached by Loss Prevention. The suspect was able to exit the store and leave in a vehicle before police arrived. Please see attached photos of the suspect. If you have information to report that could help lead to an arrest in this investigation, please contact Ptl. Levondosky #78 at 609-386-2019 or email: mlevondosky78@burltwppd.com.